The Engineering Information Technology (EIT) Help Desk is currently accepting applications for student staff. Applicants will be responsible for first level support of WEPA printer stations, general purpose classrooms and computer labs located throughout the Clark School of Engineering. 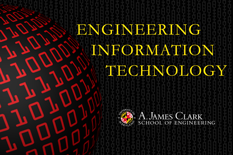 All applicants should submit a resume to eit-help@umd.edu or drop off a resume at our Help Desk located in Glenn Martin Hall room 0123.